The VE Club is a great place to play cards with friends. We have Pinochle and Skat card players that meet regularly at the club. 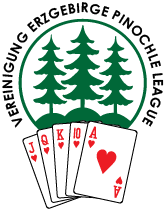 We have both a Fall and Spring Pinochle League. There is also a March Madness Pinochle Tournament. Want to learn a new game? The German card game of Skat is played in the Ratskeller on Friday evenings throughout the year.